If you're retired, you've likely shifted from building your nest egg to trying to live off of your savings. That means you'll want to look at stocks that are relatively safe and pay a generous dividend. 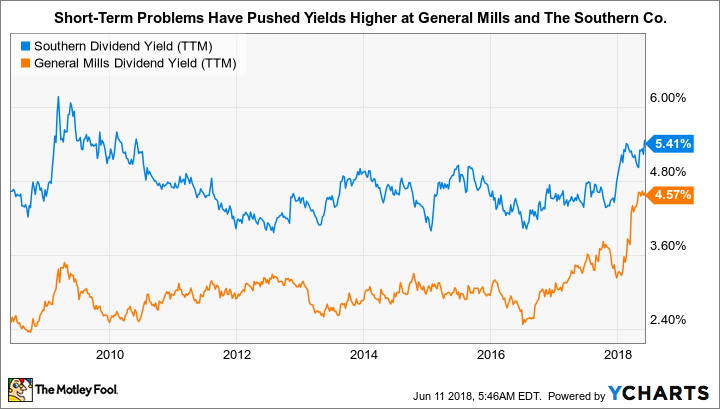 Investors have punished the stocks of giant U.S. utility Southern Company (NYSE:SO) and packaged-food specialist General Mills (NYSE:GIS) for what are likely to be near-term problems, leading to big dividend yields.